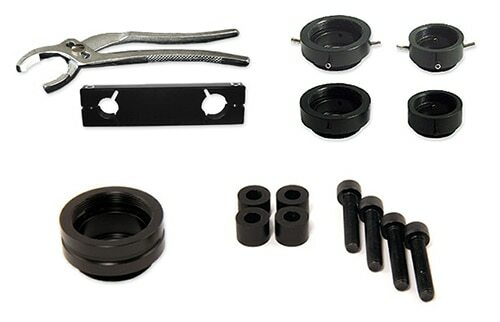 Objective cooling collar, thermal isolator and spacer, stage spacer kit, 8mm spacer, and wrench & pliers. It is necessary to use a thermal isolator to both prevent heat from the nosepiece from entering the objective and to prevent condensation from forming on the lower element. The Bioptechs’ Thermal Isolator mounts between the objective and nosepiece and is made of a material having a low thermal conductivity. It also contains a two sided AR coated window and gas ports through which dry air is pumped to prevent condensation. It is necessary to provide a supply of dry air into the base of the Thermal Isolator. The Thermal Isolator will add 9mm to the height of the objective. Therefore, it is necessary to elevate the stage by the same amount. Bioptechs provides spacers for stage mounts on special order. When the height of a microscope stage is modified to accommodate the addition of a Thermal Spacer to one of the objectives, it is recommended to add spacers to the other objectives on the turret as well. 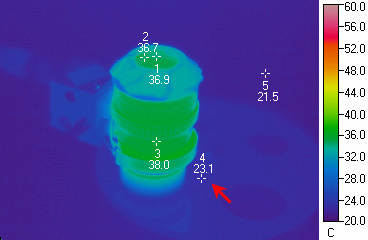 Notice the difference in temperatures of the nosepiece shown (above, top). The objective without the thermal spacer is transferring of heat to the nosepiece. Therefore, more energy has to be applied to compensate for the heat loss as demonstrated by the elevated temperature of the heating band. Although it is possible to overcome the heat loss with more power, it is not recommended due to the possibility of damage to the objective and the fact that the temperature regulation will become more labored. However, the objective with a thermal spacer (above, bottom) demonstrates very little heat loss to the nosepiece and the heater-band is obviously cooler. With less continual heat drain, less energy is required to establish and maintain temperature. Also notice how efficient the objective heater is transferring heat to the objective, you can see the band is significantly cooler. This means there is no excess heat being radiated from the objective heater band. 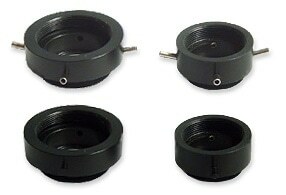 The Thermal Spacer has a groove around its side-wall to distinguish it from the 9mm version used for Thermal Isolators. It’s only purpose is to thermally isolate the nosepiece of the microscope. It does not have or need gas ports or a window. It will enhance the thermal transfer efficiency of the objective. In order to expose sufficient surface for mounting heat transfer devices on some manufacturers’ objectives, it is necessary to remove the outer decorative collar which contains written information such as magnification, N.A., etc. 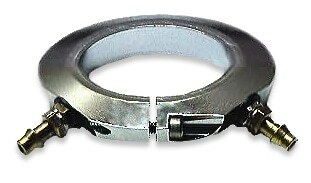 The objective wrench is designed to enable the user to isolate the mechanical stress applied to an objective when removing this collar. 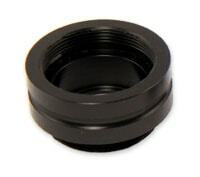 The rotational force applied to the objective must be applied exclusively to the mounting threads and the cover. 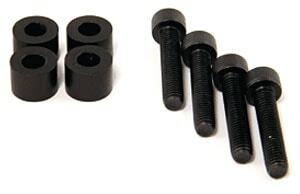 The wrench is designed with two thread sizes (0.8″ x 36 TPI (RMS) and 25mm x 0.75 mm/thread). It will enable the user to securely bind these threads and provide sufficient leverage for removal of the cover.